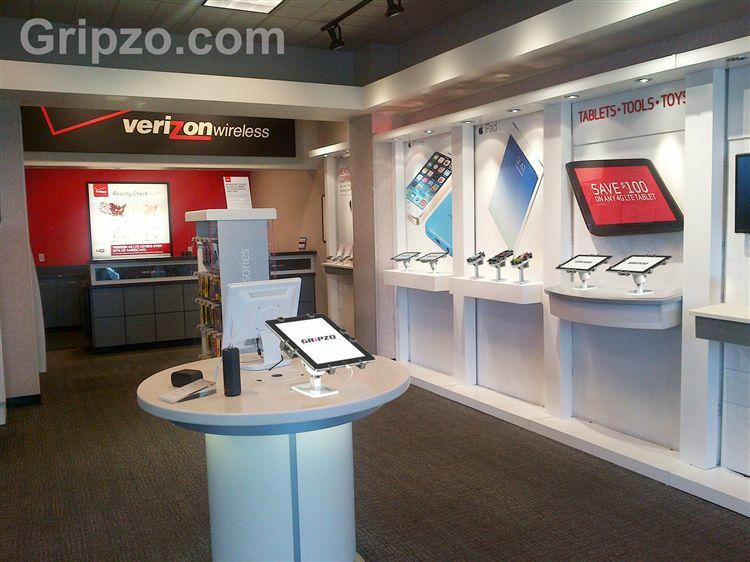 Gripzo protects tablets and smartphones in various Verizon franchise stores in California. The tablets are secured via security screws to the display table. The customer really appreciates the total lock down with quick release option. Future roll outs are being discussed. Gripzo also sold security fixture to Audio Video rental companies in the US using the tablet enclosure for shows. On a show the lock down and quick release becomes an fantastic feature as stand crew also wants to lock their tablet and wander about not having to take the tablet with them or secure it at the back. Gripzo offers hassle free tablet anti-theft.